← Now is the Time to Try Tenkara! The maples are crimson and we got an early nip of frost here in Asheville today. 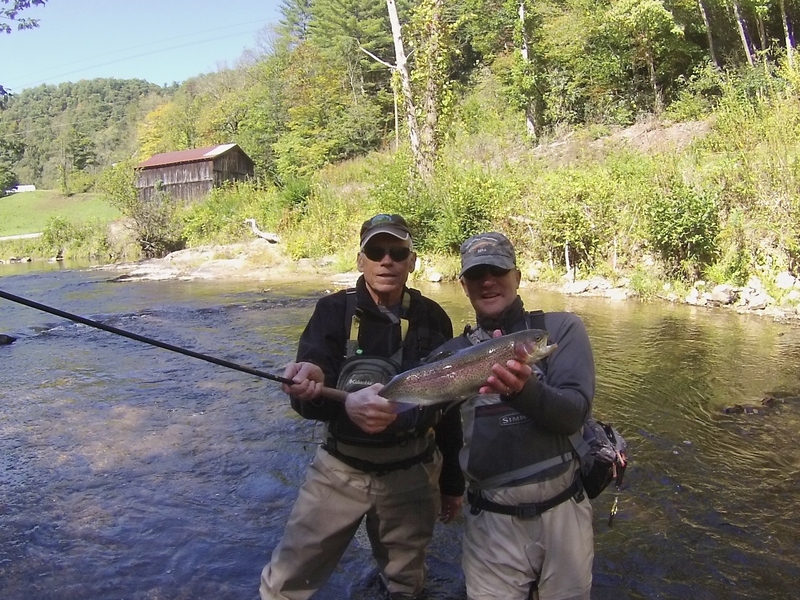 It was a great morning to go tenkara fishing and I was lucky enough to be out with two excellent tenkara anglers. You only need to look at the smiles on our faces to know that although the frost was on the pumpkin, we were not feeling it. What a great way to spend a morning! 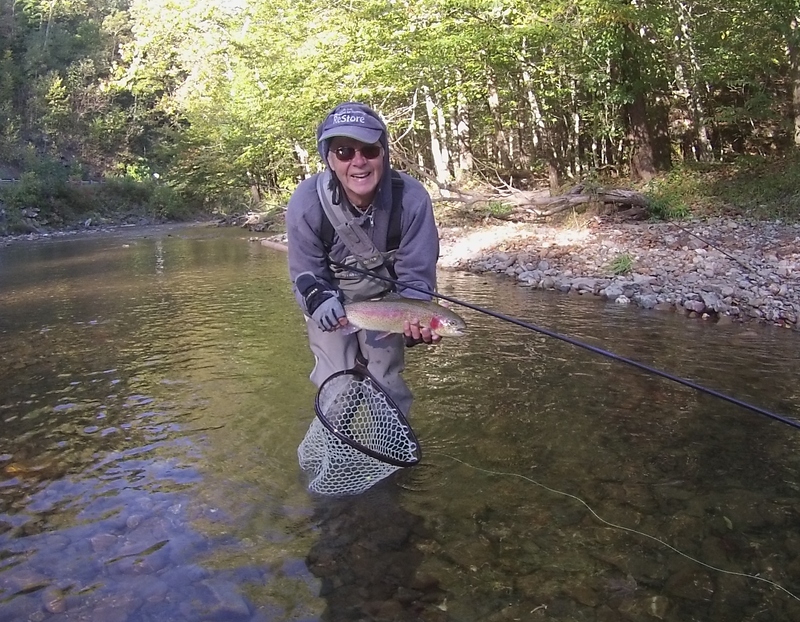 This entry was posted in Uncategorized and tagged asheville, Asheville Tenkara news, fly fishing, guides, tenkara, tenkara fishing. Bookmark the permalink.